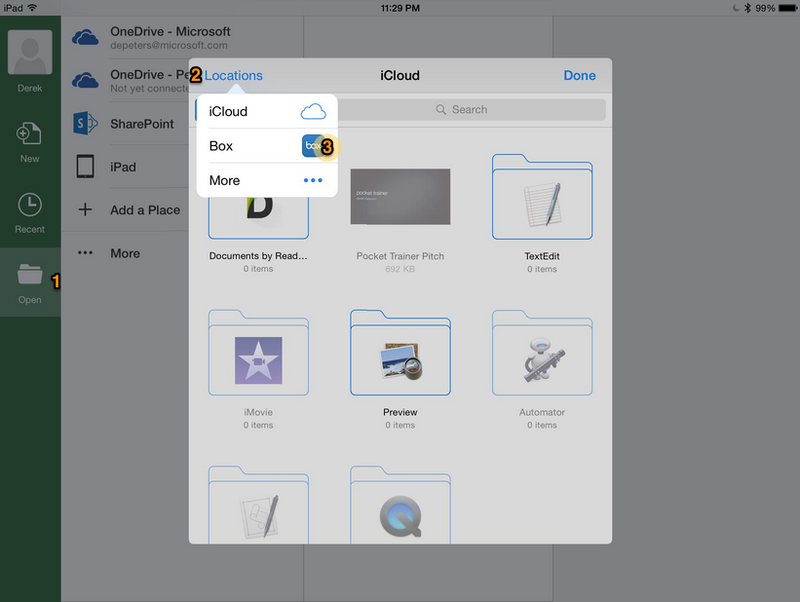 Apple's Document Provider extension allows third-party applications to open files from Box (or any cloud storage provider) and save them back to Box without any special integrations within Box. 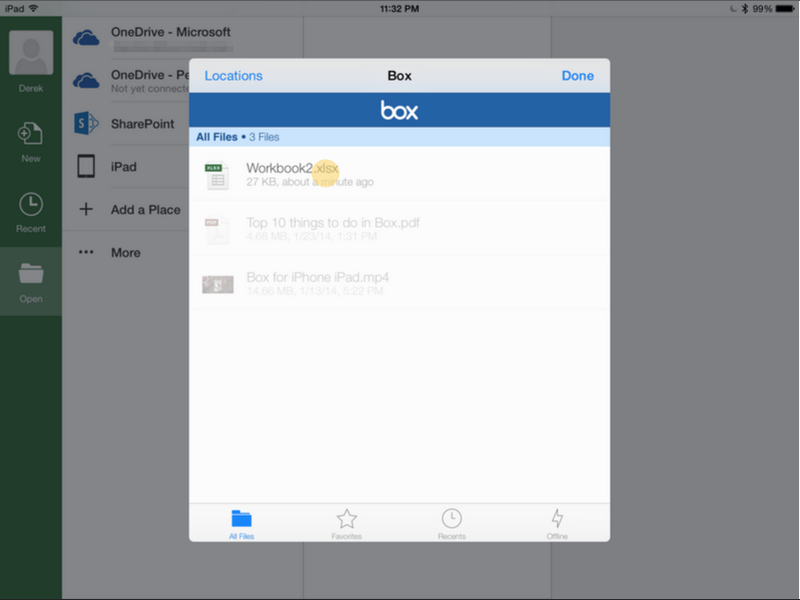 Once you install the Box app on the iOS device, Box shows up as a Document Provider in the Apple UI. The Document Provider extension allows third-party Box apps (for example, Microsoft Excel) to access documents managed by Box. Document Picker: Displays the Apple user interface when third-party users access a Box document. In this article, we refer to Box as the Document Provider. The third-party app invokes the Document Picker. File Provider: Allows third-party users to select, preview, download, or upload Box documents. The Open files in external applications setting allows Admins to control the user's ability to open content from Box in other applications from the same device. See Mobile Security Settings for more information. The Allow files to be opened into applications that save back to Box (iOS only) setting allows the document picker to open files from Box in external applications and save changes back to Box. Note: The iOS Document Provider functionality does not alert providers (for example, Box) about which app is making the request. As a result, Box does not currently have a way to provide a white list (the ability for an Admin to sanction which apps are allowed to access files on Box ﹣ like Document Provider). Currently, an Admin cannot restrict users to Box as a Document Provider with only iAnnotate and block other third-party apps. Box allows all apps or none at all. The users verify that their admin has enabled the Open files in external applications settings. If the Admin has disabled these settings (and, consequently, Document Provider), users will not be able to access their Box files from the Document Picker window. 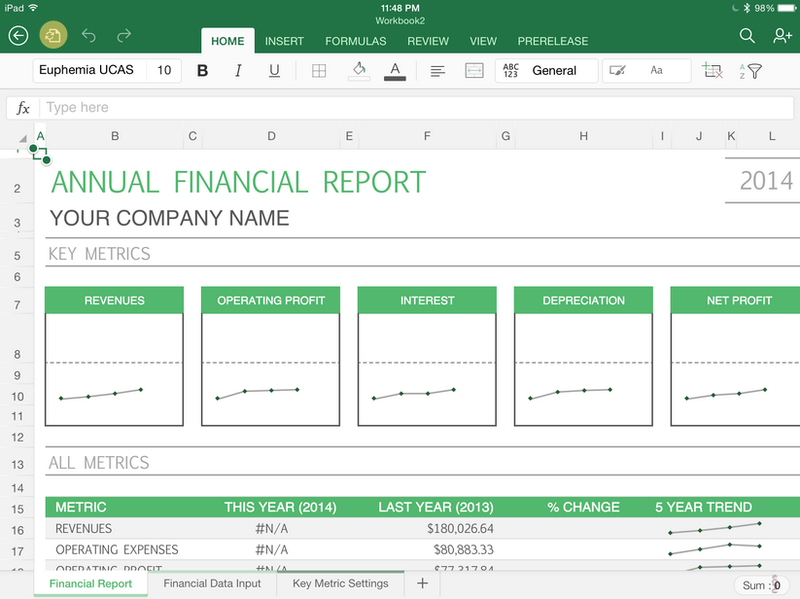 When Excel users select Box, iOS displays the Document Picker window with the Box Document Picker UI. Excel users can navigate their folders in Box from this view and select and open the file. When users are done editing or viewing the document, they can save the file back to Box from Excel. The iOS Document Picker UI present you with the Login Screen if you’re logged out of the Box app. SSO works in this scenario ﹣ if you log in using Document Picker, you are also logged into Box. We currently do not offer offline support in the Document Picker. You must be connected to the internet to make use of this feature.